Many people think their busy doctors don’t listen to them. They may be right. Studies show that the average patient talks for only about 12 seconds before the doctor interrupts, Dr. Danielle Ofri says. The patient, asked about the reason for a visit, starts to tell a story with a beginning, middle and end. But the doctor has been trained to look for the “chief complaint,” the main issue. “Patients sense that they have a singular and fleeting window to make their case — in terms of both actual minutes on the clock and legitimacy of illness,” Ofri writes in her new book, “What Patients Say, What Doctors Hear” (Beacon Press). When the doctor, who has maybe 20 minutes allocated per patient, tries to cut to the chase, the patient is frustrated — and the doctor may have set herself up for medical error. Not only that, communication may be the key to good treatment, more important than blood tests, X-rays or fancy MRIs, Ofri says. Ofri, who practices at Bellevue Hospital in New York and is an associate professor at New York University School of Medicine, will talk about her book Monday night at St. Louis County Library. 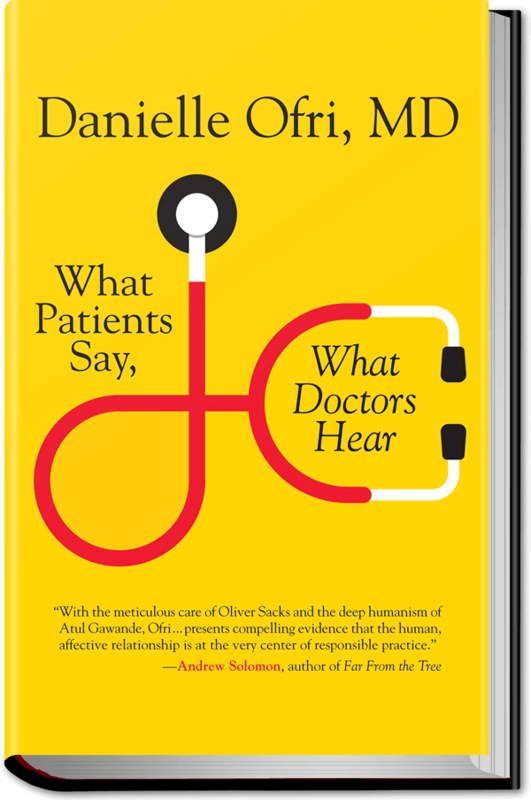 “What Patients Say, What Doctors Hear” is not so much a how-to guide, but a convincing argument for why good communication is at the heart of good medical care. And as the U.S. population ages and doctors are required to spend more time filling out computer forms, writing prescriptions online and meeting insurance mandates, awareness of conversation pitfalls may be increasingly important. When she works at Bellevue’s clinic, up to 50 percent of patients don’t speak English as their first language. One man, who called her relentlessly and insisted on seeing only her, showed up without an appointment. The patient, it turned out, needed a new pacemaker and his medication adjusted. “Since that day, every time he calls I listen twice as hard,” Ofri writes. The patients, on the other hand, should understand that their own chance to give information needs their full attention, and they should spend a bit of time preparing what they want to say and ask. “They should also prioritize the things they want to talk about,” Ofri says.